Roland Jöbstl is Climate and Energy Policy Officer at the European Environmental Bureau (EEB). Birgit Schmidhuber is legal expert at Justice and Environment. Our eyes travel across green hills surrounded by lush, dark forests. We watch untamed torrents of water glide down the mountainside into the valley below. The Ötztal in Tyrol, Austria, which shelters one of the last European remains of this unique alpine landscape, wild and full of biodiversity, is facing drastic change as a new local hydro power plant has just been earmarked as a ‘high priority energy infrastructure project’ by the European Commission. In most of the neighbouring valleys, this once untouched beauty has long gone. Commercial development and the tourist industry has taken control of the peaks and valleys with its ski lifts and holiday resorts, and nearby sits a gigantic hydro dam – generating electricity and occupying over 2.6 square kilometres. This hydro dam in Kaunertal valley, built in 1960, is operated by the Tyrolean Hydropower AG (TIWAG). The company, entirely owned by the Austrian state of Tyrol, is the dominating utility provider in the area – appreciated as a source of income for the regional government and a revolving door between political and economic power. Now the existing hydro dam is to be expanded, reaching out into presently untouched areas. An additional dam in Platzer Valley, 120m high and 450m wide, will work as a reservoir to turn the two dams into a hydro pumped storage plant. Additionally, four natural alpine creeks and rivers (Königs, Ferwallbach, Gurgler and Venter Ache) shall be tapped and redirected through tunnels 25km in length from one valley into another, collecting water to generate power. This huge tunnel and dam system, which is threatening several conservation areas including the Natura 2000 site “Ötztaler Alpen”, has now been recognised as a project of common interest (PCI) under the European label for high priority energy infrastructure projects. For more than ten years TIWAG has been looking for a means to expand the Kaunertal hydropower plant. The project has struggled to get off the ground, and voices questioning its compatibility with existing environmental legislation and doubting its profitability continue to grow. In 2012, when the permit process to expand the plant began, the Austrian branch of the Environmental Law Network Justice & Environment and WWF Austria got involved in the matter, protesting against the environmental impacts and procedural deficiencies. The Gurgler and Venter Ache rivers, about to be diverted by the new project, were of particular concern as they are amongst the last remaining non-manipulated water streams in the area in very good ecological condition. While discussions over the permit and environmental impact assessment are still ongoing, the European Commission has already listed the expansion of the Kaunertal plant among the key energy infrastructure projects of the European Union. This decision was initially made in 2012 and sparked complaints by regional and international stakeholders that a hydro power plant can’t be awarded a label intended for interconnectors such as high-voltage power lines. Now the latest information published in July now frustratingly repeats this problematic decision. 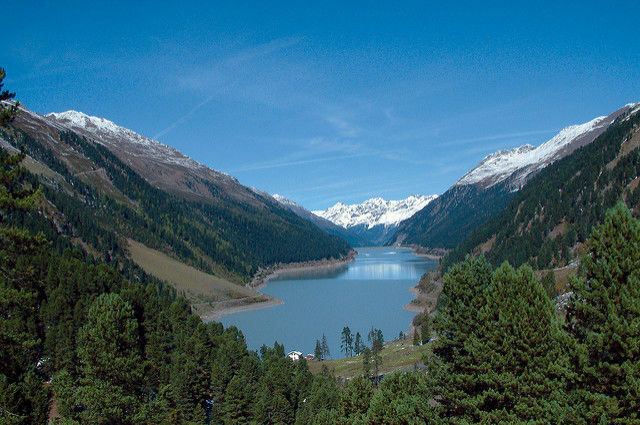 The decision to award the PCI label to a power generation plan which will destroy healthy rivers, such as in Kaunertal, is not in line with the EU’s energy infrastructure regulation – also known as the TEN-E Regulation. This regulation’s mandated scope for electricity projects is limited to transmission and storage schemes, but does not include power generation. The continued misuse of the PCI label on power generation projects, as displayed by the awarding of Kaunertal, brings the credibility of the regulation into question. European energy and climate objectives demand a complete overhaul of our energy system and significant investments in and adjustments of our electricity grids. The TEN-E Regulation and the PCI label are supposed to accelerate this. But including power generation into the TEN-E Regulation framework is a misuse of the PCI label, and diverts the necessary focus from making our grids fit for the future. Any abuse of the system causes the loss of credibility for the PCI label, and slows down rather than speeds up other necessary projects.